All finished bar a couple of hems, Emma (2nd from right) not only finished the pair she’s wearing in the picture but also started a second pair which she finished yesterday evening and three of the leggings above were worn home! I think this new workshop can be officially considered a success and a popular addition to my list of Sunday workshops. 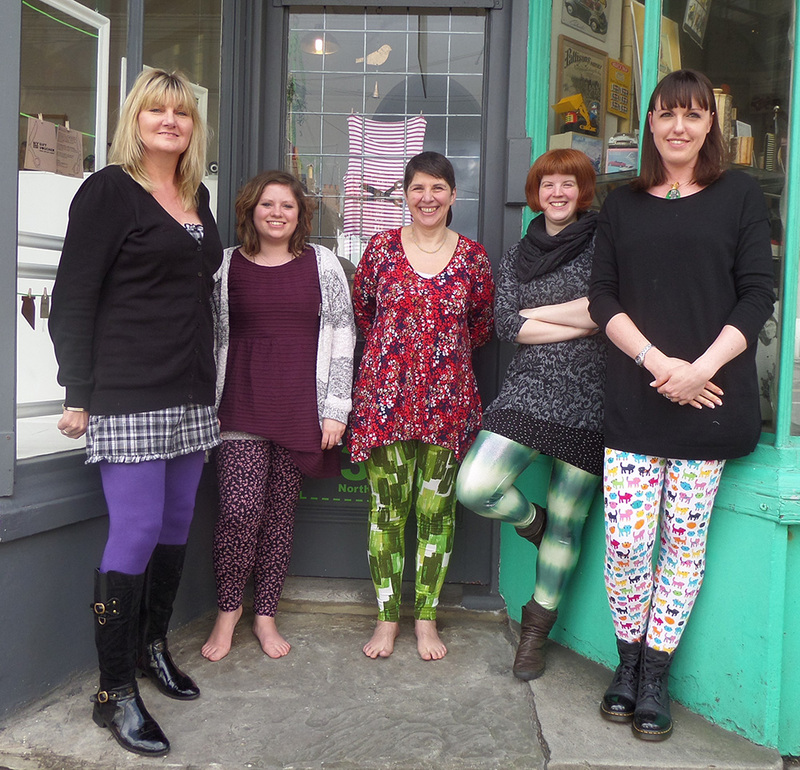 If you feel inspired to make your own leggings, I still have availability at the next date for this workshop which is Sunday 8th June. Get in touch to book your place! This workshop came about thanks to a request from one of yesterday’s students a few months ago. A few more ideas were added to the list yesterday! 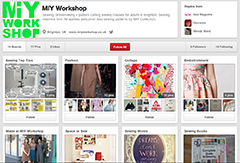 Do you have any ideas for workshops that you’re desperate to do and that you think others would enjoy? I’m always open to suggestions! This entry was posted in Full Day Classes, MIY Collection Sewing Patterns, MIY Workshop, Student work and tagged easy sewing patterns, learn to sew brighton, learn to sew knit fabrics, make your own leggings, miy collection, MIY Workshop, modern sewing patterns, sewing classes Brighton, sewing patterns for jersey, Wendy Ward. Bookmark the permalink. They all look great but I love the purple patterned pair. Do you know where the fabric was from? Hi Gemma, not sure which ones you mean, but from left to right: plain purple from Ditto, small floral print I’m afraid I can’t remember, green print again I can’t remember, shiny swimwear fabric from Fabricland and cat print from a fabric shop in Worthing. Hope that helps a bit!